The International Academy of the Visual Arts (IAVA) announced this week that the Wyss Institute won the W³ Gold Award in the category of Biotechnology, and Silver Awards in Science, Homepage Design, Visual Appeal, and Web Video: Technology/Science. The W³ Awards honor outstanding websites, web advertising, videos, and mobile apps created by some of the best interactive agencies, designers, and creators. 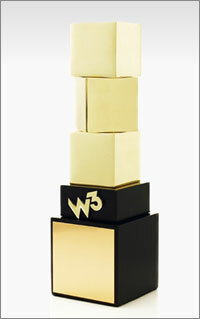 This year the W³ Awards received more than 3,000 entries from around the world. The highly collaborative effort behind the web redesign that qualified the Wyss website for the award involved several from the Wyss community working in partnership with an external agency, MODE Visual. The W³ is sanctioned and judged by the International Academy of the Visual Arts, an invitation-only body consisting of top-tier professionals from a “Who’s Who” of acclaimed media, interactive, advertising, and marketing firms. IAVA members include executives from organizations such as AvatarLabs, Big Spaceship, Block Media, Conde Nast, Coach, Disney, The Ellen Degeneres Show, Estee Lauder, Fry Hammond Barr, Microsoft, MTV Networks, Polo Ralph Lauren, Sotheby’s Institute of Art, Victoria’s Secret, Wired, Yahoo! and many others.